In this article I will discuss some of actions that can be taken to prevent increase out of control site collections. Site collection disposition is a new concept. When you close a site, you specify that the site is no longer used so that the site can be deleted according to a schedule. 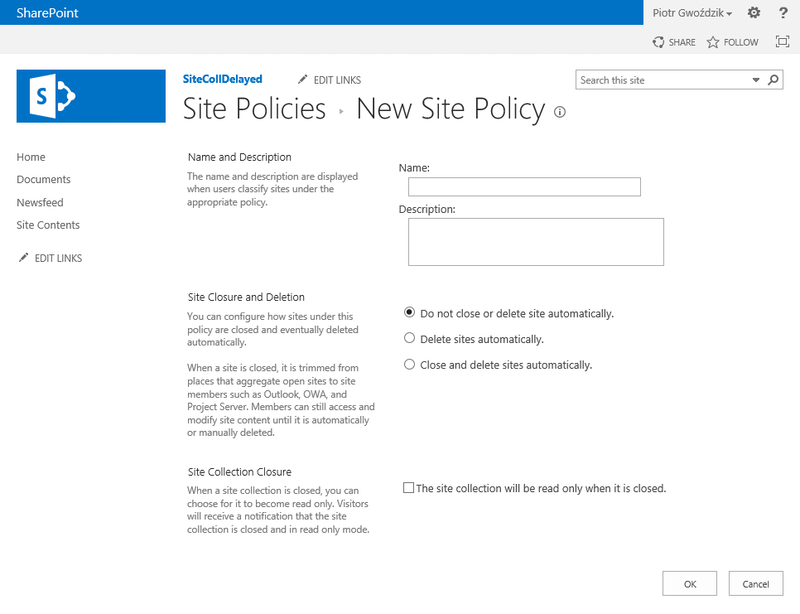 A closed site does not appear in other places where sites are aggregated — for example, Outlook, Outlook Web App, or Project Server 2013 — but users can still reach closed site and its content by using the URL to the site.